FORD’S upcoming all-electric SUV may have leaned pretty heavily on the Mustang’s mystique when it was announced at Detroit, but despite being announced under the “Mach 1” moniker Ford’s EV crossover will not be the high-performance electron-guzzler some were expecting. Probably a smart move, not giving it sports car specs. I doubt many would buy a Ford branded vehicle priced like a Jaguar or BMW. The cost of the program and production would make this too expensive if Ford were to sell them at a break even price. I think battery assist/hybrid is the way to performance and profitablity in the near future. See I thought when they originally announced the Mach 1 is was a performance EV SUV. SP1966 and SVT74 like this. Interesting that this information comes to us from Ford of Europe's performance guy. Ford of Dearborn's performance guy just left for Jaguar/Land Rover. Has Ford been living under a rock, or is it that the battery tech that Ford has come up with is too immature for a Performance EV. Meaning that Ford is just too far behind due to their late response to the global industry shift to EVs. 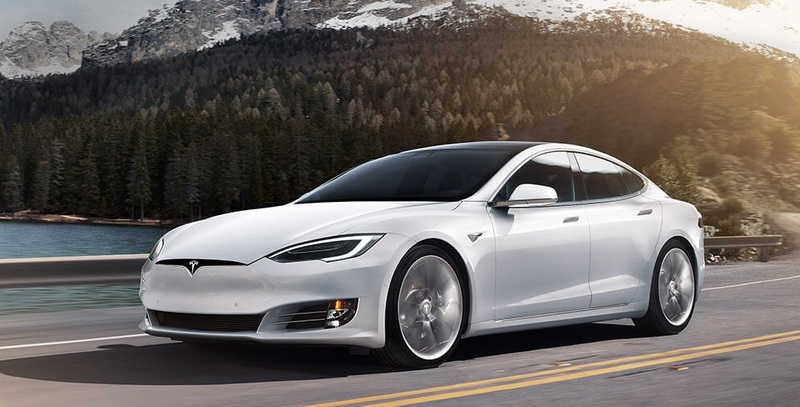 Tesla Model: Introduced June 22, 2012. 0-60 2.5 sec. Launched 6 years ago. Then again...as Ford heard of Formula E? The S with the specs to go that quick, costs well over $100k. Gee, I don't know, maybe Ford has some crazy idea to make their first new BEV affordable and......something Tesla has never heard of.....profit. falcon lover, jpd80, badhac and 1 others like this. Firstly it sounded as though he was reserved about giving away too much information, but I think he makes it clear that it's only a matter of time before they will have (and use) the technology for a performance vehicle that is affordable. He doesn't say Mach 1 won't be a performance vehicle but the author of the article does. "Mach 1" has a performance heritage and I doubt Ford are unaware of that. Pretty sure Ford is referring to affordable battery technology. The Tesla you mentioned is the Model S P100D which starts at $123200. Also as of last season Formula E had to swap cars mid race. Obviously if Ford wanted to they could go build 100k performance EVs till theyre blue in the face. Ford has an enviable history of making cars for the people; ie., affordable. It would be difficult for Ford to start with the introduction of new tech, such as BEV at the high end; it's just not in their DNA. Let's speculate, however. Couldn't the introduction of a BEV at the high end have been of benefit to Ford as a showcase of technology and a tangible vision of the future? Ford insiders here on FIN insist that Ford already has the lead on e-vehicle tech. Wouldn't Ford having a BEV product available now been a great tech and PR demonstrator/influencer at whatever price point? Might have made Wall Street smile down on Ford as well; sorta like they're smiling down on Tesla. "There's growing concern over Tesla's finances — and Wall Street is convinced the company will need to raise money soon." "Tesla says it will be profitable by the end of the year and won't need to raise more cash. Many on Wall Street disagree." "Tesla is burning cash like crazy"
"The Goldman Sachs analyst David Tamberrino told clients earlier this month that Tesla may need $10 billion in fresh funding within 18 months to stay alive." IMO, Tesla doesn´t count in the future of electric cars. It will not survive. Last edited by falcon lover; 06-21-2018 at 11:41 AM. Poll @ Ford: more tech?